A message from late British astrophysics giant Stephen Hawking will be beamed towards the nearest black hole as his remains are laid to rest in London's Westminster Abbey on Friday. "The broadcast will be beamed towards the nearest black hole, 1A 0620-00, which lives in a binary system with a fairly ordinary orange dwarf star," Hawking's daughter said. 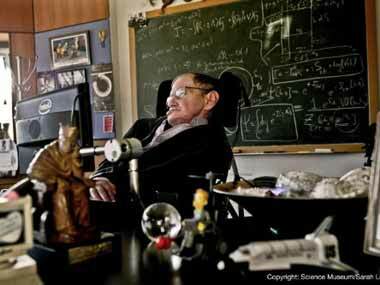 Hawking, who captured the imagination of millions around the world, died on 14 March 14 at the age of 76. Applicants needed to give their birth date, but eagle-eyed fans spotted that it could be any day up to 31 December, 2038, opening the door to time-travelling guests from the future. The track being beamed into space will feature Hawking's voice set to music and has been written by Greek composer Vangelis.